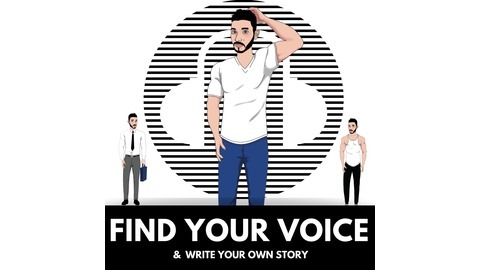 Find your voice!A movement led by Aren Deu, to help you combat your excuses, take control of your life, write your own story and most importantly FIND YOUR VOICE!Whatever your current situation is telling you, it is not the end. It is just a chapter or page in your book of life. 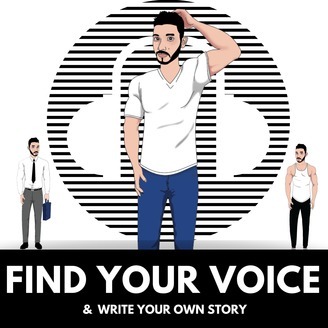 This podcast will interview people from all walks of life who have faced, anxiety, grief, death, loss, ups and downs, trials and tribulations but have found a way to persevere.It will demonstrate to you that with the right mindset and correct action you too can really start taking control of your life and finding your voice, in whatever arena that could be.Finding your voice is about showcasing your true self and making decisions for you, not to please others. It is a metaphor for finding your purpose in life and taking control of your life.It's always been a goal to change the world, but I can't do this alone. I need your help. Join the movement and let’s share our stories and voices.#JustDeuIt #FindYourVoice. Tagline: "Be the captain of your fate and master of your soul"
Louise Blyth, is an incredible lady who has experienced losing the love of her life, George Blyth tragically from cancer. With cancer now affecting 1 in 2 families it is a common occurrence so many of us face in our day to day life. But unlike any other story Louise world took a massive turn upon the sad death of her spouse and soul mate. Experiencing a supernatural event during his last few days Louise beliefs, perceptions, outlook and whole world had been turned around where she found herself finding, what she describes as "the greatest love all of us could ever know"
A 2 part special episode, this incredible story does not lean on an emotional tale which will have you in tears of sadness, despite its tragic theme. Instead, tears of happiness seeing someone recover from grief and finding a bigger purpose and understanding of her being in the world takes over the story's narrative and leaves you feeling rather refreshingly happy that in such a sad circumstance someone can continue their life in a positive, fulfilling way. Now a widow of 2 children, Louise has created The Wonderfulness of Life which focuses on, Happiness being a choice and a state of mind. I am sure you will all agree this story truly warranted two episodes and if anyone can take anything positive away from this, it is to cherish all the moments we have with our loves ones and find blessings in whatever cards we are dealt in life. write I write on my iPhone I ordered mr.